With a new niche forming around the podcast (music entrepreneurship) and this website, it’s time to take inventory of where this podcasting journey has taken us so far, and where I see it going in the months and years to come. As I continue to study blogging and content marketing, it has occurred to me that I’ve been writing (and speaking) on too many topics for this site to have sharply focused content and a targeted audience. You have all been very patient and encouraging on this journey so far, so I want you to know that I appreciate each and every one of you and the feedback you have given me along the way. Unless I see a huge backlash, receive feedback or evidence to the contrary, I believe it’s time to narrow in on this Music Entrepreneurship niche that I’ve been going on about. I believe that this will be for the best. Not only will it begin to attract a bigger audience that has specific interest in this topic, I believe that other marketers and bloggers will have a better idea of how to refer me and promote me. There will undoubtedly be SEO benefits too. In any case, let’s take a look back at the progression of the podcast. I started the podcast as a supplementary news outlet for the various music projects I was working on at the time, and this is all I ever expected it to be. I was already maintaining a blog, so I simply summarized the various news items from the blog. Had the podcast remained here, I’m not sure that it would have reached its full potential. When my friend Lucas Chaisson saw that I was publishing podcast episodes, he asked if he could be on the show. What a fantastic idea! From that point forward, the podcast became about local musicians and artists. It seemed like an obvious progression. It felt like it was time to get some experts on the show. That’s when I started bringing on people like Kevin Pauls, Steve Taylor, Dave Chick, David Hooper, Todd Henry and Kevin Breuner (if you’d like to hear these interviews, you can pay what you want for the legacy podcast bundle). After all, one of the reasons I wanted to do interviews was to learn from people who had accomplished things I hadn’t. This phase is still a relevant part of the podcast. I started sharing philosophy, mentality and attitude around business ownership and entrepreneurship. Not that I know everything there is to know about the subject, but it was indicative of a new direction I was headed in. 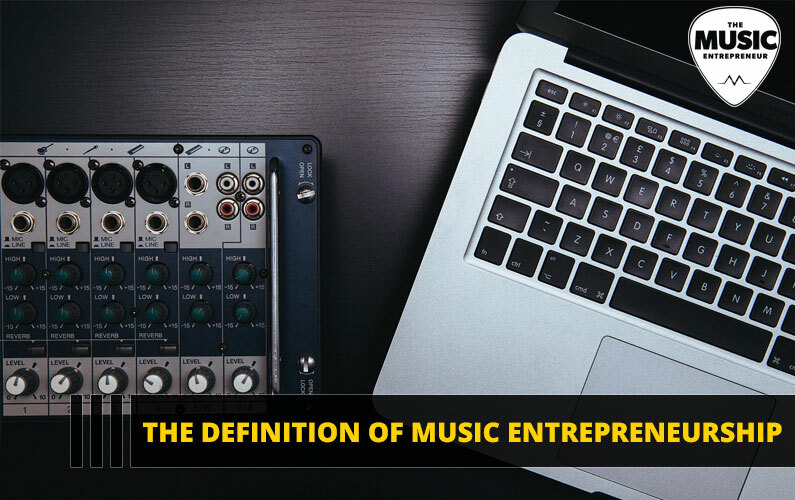 I had the desire to create a passive income outside of my job or music career (ultimately to support my music career), and thus the idea of Music Entrepreneurship was born. 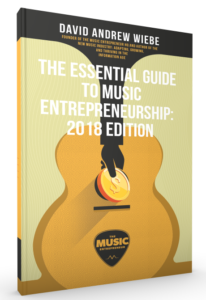 What I described as phase five, to me, accurately denotes what Music Entrepreneurship is all about (I also wrote an overview on the TuneCity blog, when it was still around). To suggest that I’ve fully fleshed out this concept would be to suggest that the evolution of the podcast and the blog was all planned out (hint: it wasn’t). I am still on that journey to creating an asset that will enable me to have more time to do what I love. That’s a great place to be, however, because what that means is that I get to share my journey with you. I get to experiment and let you in on what’s working for me, and just as important; what’s not working for me. I also feel that staying in a general music marketing niche would be doing the podcast and blog a huge injustice. I don’t necessarily see it as a crowded niche, but if there are already established experts in the field (hint: there are) who could provide you with the same information or better information, then there is no need for me to try to hang on dearly to their coattails hoping someone will notice what they’re dragging around (me). The new niche does make me a little uncomfortable, but I hear that’s usually a good thing. If a new undertaking scares you a little, it should provide you with the opportunity to grow, to learn, to make mistakes, and adapt accordingly. I think it’s time to “cut off the fat”. I’m going to keep all the content I’ve published to date, but from here on out I want to focus in on the Music Entrepreneurship angle. Since I’ve started writing and creating content for so many other blogs and sites, I think it’s in my best interest to define a specific focus for each. If you go into the archives, you will find that I’ve written about everything from social media to album reviews to music streaming. If these peripheral components play a significant part in entrepreneurship, then I see no reason not to write about them. I think where I see the greatest value, however, is in categories like mindset & philosophy and making money. First, we need to grow ourselves and develop the mental toughness to persevere in the face of adversity. Then, we need an outlet to apply what we’ve learned. It’s great to be versed in success principles, but unless you apply them to your life, you just won’t see the type of results you’re after. If you’re wondering why I didn’t get around to publishing a podcast episode last week, check out the article I wrote about my weekend. It was a bit of an adventure.